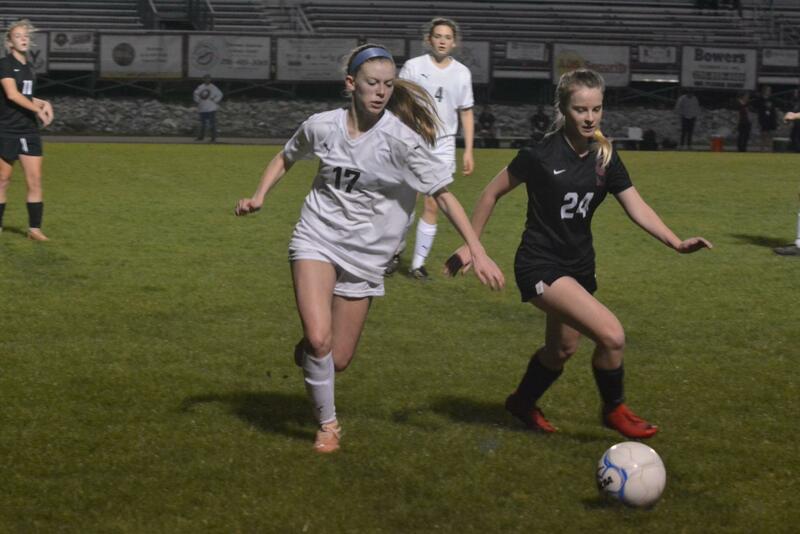 The girl’s soccer program has had a productive season so far with three season wins as well as placing second in an opening season tournament. The team will participate in another tournament when the fields become dry and playable again. With sights set on state, the team is experiencing setbacks due to unfortunate weather conditions. The team has been training for months through rain, storms and cold. They practice everyday they can find available space on the fields or in the gym. The effort has paid off so far as the team has already won all but two games this season. “Overall, I think the season is going really well seeing that we haven’t played many games but the ones we have played have been good,” junior Madison Rader said. The players and coach are confident that the team could go far in the standings this year but majority of the games continue to get canceled due to weather conditions. Since the start of the season, three section games have been canceled with no guarantees of rescheduling. The bad weather has been unfortunate but the team persists. They are determined to make the playoffs. The team’s success in current games have provided a boost of confidence and a greater desire to do well this season. Thought the team has experienced these setbacks, they should be more avoidable in the future due to the new turf field. For now, the team has to make due with undesirable playing conditions. The team will continue to play when the conditions allow and continue striving for state. “The weather may be affecting how much we play and how many games we will be able to fit in this season, but I’m looking forward to becoming closer with my teammates and just having a great time,” Rader said.